Looking for something fun to do? 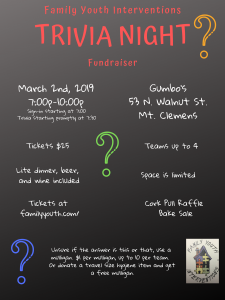 Come join us for a night of trivia. Test your knowledge on a wide range of topics. Top team takes home the prize. Lite dinner, beer, and wine included. 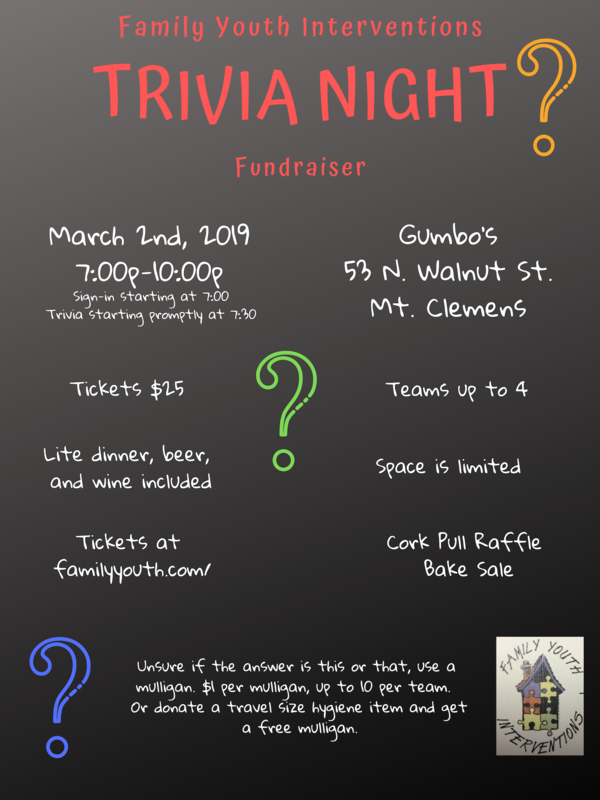 This fundraiser will also include; a bake sale, cork pull raffle, and mulligans (in case you’re unsure of the answer). Gather a group of four and come up with a fun team name. We will see you there! Don’t forget, once you have your team, please email Lindsey (lkeesling@familyyouth.com), with the names of your team members. This should help sign-in run smooth.